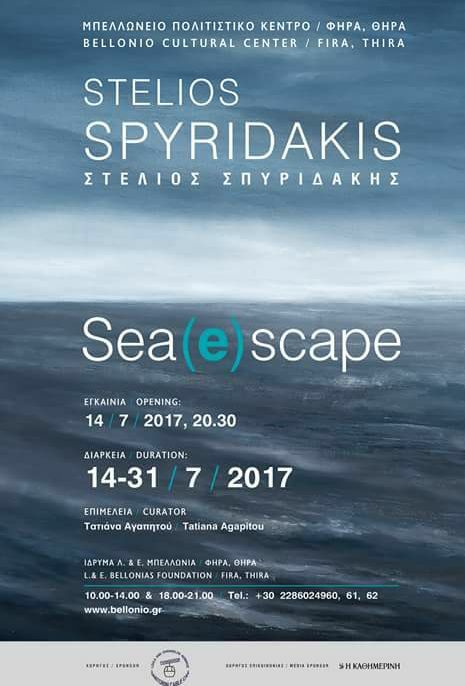 The summer and refreshing painting and sculpture exhibition “Sea(e)scape” open its doors tonight. Artist Stelios Spyridakis is inspired by the wet element of the sea and exhibits his works in Santorini. You can attend the opening at Belloneio Cultural Center, opposite the bus station at Fira, at 20.30 with free entrance. The exhibition will run until 31 July (open daily from 10:00-14:00 & 18:00-21:00).